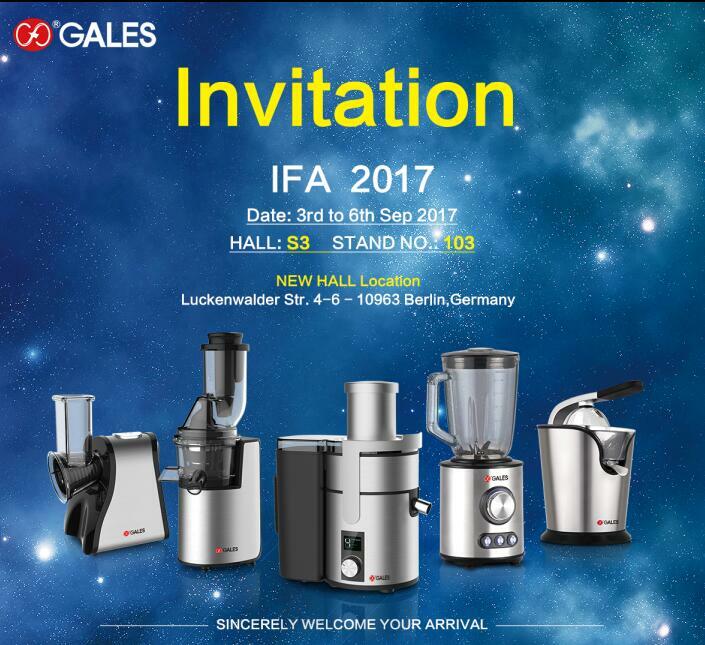 2017 IFA EXHIBITION IN GERMANY -Foshan Gales Electrical Appliance Co., Ltd.
We GALES will attend 2017 IFA Exhibition in Germany. With the 21 years experiance and hardworking,Gales team will keep usher in this area and keep on moving stable. FOSHAN GALES ELECTRICAL APPLIANCE TECHNOLOGY CO., LTD.
Now GALES team sincely welcome you to have a visti to our booth,many brand new models are waiting for your selection.